The supermodel posted the magazine's last staff photo, which featured no black faces among the 55-strong team. 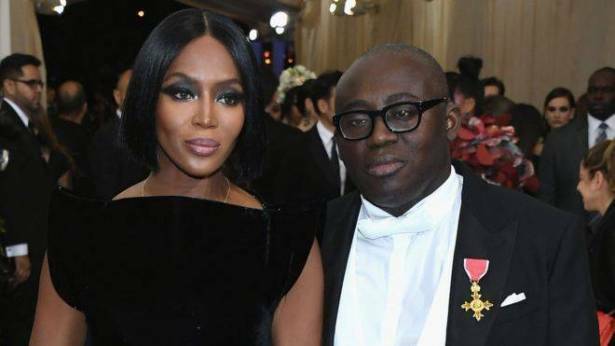 It was taken before Edward Enninful took the reins as the magazine's first black editor earlier this month. "Looking forward to an inclusive and diverse staff now that @edward_enninful is the editor," Campbell wrote on Instagram. 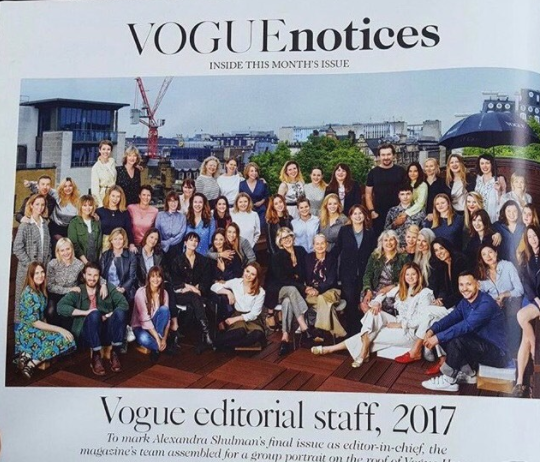 Broadcaster and commentator Edward Adoo said the Vogue staff photo looked like a snapshot of "very old school Britain". He told BBC News: "It seemed there was no room for anyone else. It seemed like the Sloanies' club. In the whole fashion industry, the mainstream element feels very middle class, very white, very controlled, and there needs to be some kind of breakthrough. "I think Edward Enninful is a step in the right direction. He's black, he's gay and he reaches out to different people, and I think that's what's needed." Campbell has the status to speak out, whereas younger models have less power, Adoo said. "For Naomi Campbell to say it, it would certainly silence the critics because of her calibre and status. "But for someone who's up-and-coming to speak out and say, I feel as if I'm not being treated right, or there are no opportunities, they may never ever get a call again." One of Enninful's first appointments was to hire Campbell, Kate Moss and film director Steve McQueen as contributing editors. Speaking to Time last year, he said there needed to be widespread change to make the fashion industry more diverse. "If you put one model in a show or in an ad campaign, that doesn't solve the problem," he said. "We need teachers in universities, we need internships, we need people of different ethnic backgrounds in all parts of the industry. That really is the solution; you have to change it from the inside." In the same interview, Campbell said: "For me, it never stops. It's not a fight, it's a conversation - constantly reminding people that diversity is beautiful and that there should be diversity and equal opportunity. "It never stops because you say it and they say that they listen, and it seems to take two steps backwards."